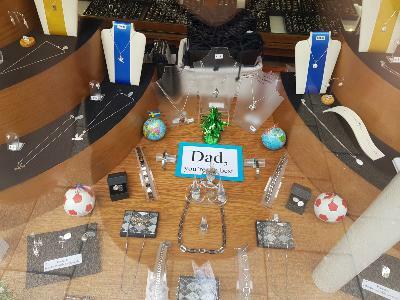 We have a brand new window display ready for the World Cup and Fathers' Day! We have a surprising amount of pieces suitable for men, from chains, bangles, bracelets, rings and cufflinks, in sterling silver and stainless steel. We even have a selection of leather bracelets. Come in and have a look! !